Local Natives: The indie rock band based in L.A. has partnered with nonprofit Plus 1 so that $1 from every ticket sale will go toward gender-based violence intervention and prevention programs. March 31. $27+. Royal Oak Music Theatre, 318 W. Fourth St., Royal Oak; 248-399-2980. The Festival of Laughs: The Festival of Laughs stars stand-up comedian, actor, film producer, writer, and rapper Mike Epps, who has appeared in Next Friday, Friday After Next, The Hangover, and more. Comedians Sommore, Bruce Bruce, Arnez J, and Felipe Esparza will also perform. March 31. $52+. Joe Louis Arena, 19 Steve Yzerman Dr., Detroit. Tom Cotter from America’s Got Talent: The runner-up on America’s Got Talent in 2012, stand-up comedian Tom Cotter has appeared on numerous television and radio shows. March 30-April 1. $10+. Comedy Castle, 310 S. Troy St., Royal Oak; 248-542-9900.
International Youth Silent Film Festival: The two-day International Youth Silent Film Festival begins with a performance by organist Nathan Avakian. The second day features a screening of the films in the Detroit regional competition accompanied with music by Avakian. March 31-April 1. $12. Redford Theatre, 17360 Lahser Rd., Detroit; 313-537-2560. Venus Rising: 5th Annual All Women Art Exhibition: Live painting, acrobats, and musical performances accompany an installation by dozens of southeast Michigan female artists. Part of the proceeds will go toward Alternatives for Girls, an organization helping homeless and at-risk girls. April 1. $10. Tangent Gallery, 715 E. Milwaukee Ave., Detroit; 313-873-2955. Novi Home and Garden Show: The show features home improvement products and services for a variety of projects, decorating and landscaping exhibits, and experienced businesses available for consulting or hire. March 31-April 2. $5. Suburban Collection Showplace, 46100 Grand River Ave., Novi; 248-737-4477. The Girl of the Golden West: Set in the American West during the Gold Rush, The Girl of the Golden West takes audiences through the life and tales of a saloon-owning Sunday school teacher. April 1-9. $29+. Detroit Opera House,1526 Broadway St., Detroit; 313-237-7464. Amadeus: Lucian Msamati plays Antonio Salieri in Peter Shaffer’s iconic play about Wolfgang Amadeus Mozart, Amadeus. It’s an encore showing of an event that was recorded live from the National Theatre in London in February. April 2-4. $15. Landmark Main Art Theatre, 118 N. Main St., Royal Oak; 248-542-5198. Cat in the Hat: The Cat in the Hat is back for an adventurous live tale of Dr. Seuss’ book presented by Child’s Play Arizona. April 2. $10+. 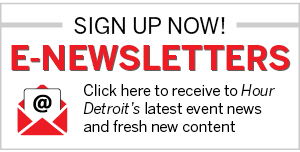 Music Hall Center, 350 Madison St., Detroit; 313-887-8500. 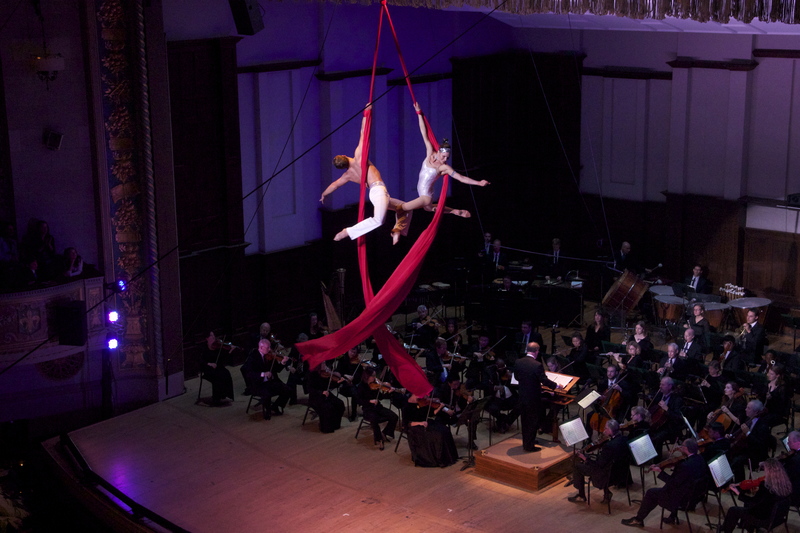 Cirque de la Symphonie: Aerialists, acrobats, contortionists, strongmen, and jugglers drop in on the orchestra and conductor Jeff Tyzik as a part of the Cirque de la Symphonie performance. March 31-April 2. $19+. Max M. & Marjorie S. Fisher Music Center, 3711 Woodward Ave., Detroit; 313-576-5111.